Looking for a new Chevrolet? View our HUGE online inventory. Thinking pre-owned? We've got hundreds of used vehicles in stock. 3 Easy Steps to get the full market value for your trade. 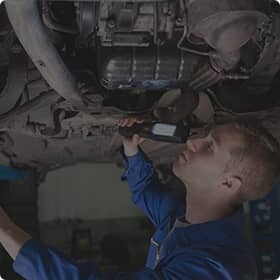 Book your next vehicle service appointment online. We’re here to WOW Ya! 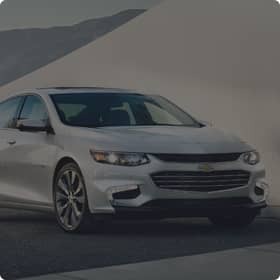 At Beaver Chevrolet, we are proud to provide many new 2019 Chevrolet models in our showroom! 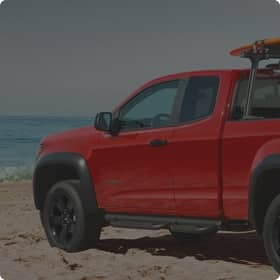 Choose your favorite Chevrolet vehicle below to view our inventory. dedicated to affordability for you to browse! Service for my 2016 Malibu was done by professional and very courteous personnel. Mr. Parisi demonstrated that he cared about how well my car performed with the services provided. I feel quite certain that Beaver Chevrolet will continue to be one of leading car dealerships in Jacksonville for years to come. Thank you again. Evan was extremely friendly! Service was done at the approximate time that I was given, and I was given a thorough explanation of their service departments findings. 2019 Chevy Silverado.. ask for Dave terbrueggen , My family has bought over 10 cars from him. He is my go to guy, just be patient with him. He will work hard to get the deal done. Dave Parisi was a joy to work with. He is very professional and extremely thorough. I had an appointment for oil change and tire rotation and was in and out in an hour even with a car wash. Great service !!! We ended up with a great truck at a great price! They were willing to work with us to meet our needs and budget. Staff and salesman were great to work with. Absolutely amazing dealership. Could not be happier with the service. From start to finish I was impressed. They offer more for your money than any dealership in town will offer. I recommend buying new or used from them, and if you do tell them I sent you. *** UNBELIEVABLE new purchase deal and service!!! ***Folks, I’ve been to *all* Chevrolet dealerships in Jacksonville, and I didn’t give my business to anyone else — Beaver Chevrolet beat them all! Prompt, courteous and professional staff and a truly UNBEATABLE deal on a ‘loaded’ 2019 Tahoe — LOWEST PRICE and HIGHEST TRADE IN $$$ for my late model Suburban. ***⭐️⭐️⭐️⭐️⭐️ Micah Brooks treated us as family and rolled out the ‘red carpet’ — LITERALLY!!! ⭐️⭐️⭐️⭐️⭐️Trust me — my Dad was a Chevy dealer in NYC and I’ve *never* purchased any make other than CHEVROLET. And I never will.Beaver beats them all ... and yes, they REALLY WOWED US!Jon, Hannah, and Sophia C.
Very good service person at Beaver Chevrolet. Darrell was friendly, courteous and professional. He answered all my questions. 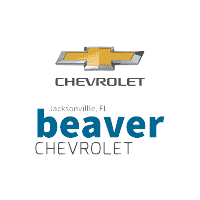 Thank you for making your way to Beaver Chevrolet, your certified Chevrolet dealer serving drivers throughout Jacksonville and the surrounding areas. At our dealership, you’ll find a solid selection of new Chevrolet for sale, as well as a carefully inspected lineup of pre-owned vehicles. We also have a well-connected finance center run by a qualified team of finance experts, who can help you get the right loan or lease in a quick, easy, and transparent manner. Our commitment to our customers continues well beyond the date of purchase. We also have a professional team of Chevrolet technicians on hand with the skills and equipment to handle all manner of maintenance and repairs, as well as a full stock of authentic parts. Make your way to Beaver Chevrolet in Jacksonville today for quality vehicles, a friendly team, and professional service at every step of the way. And if you have any questions for us, you can always get in touch at 904-398-3036.